Challenge Yourself: 10,000 Steps a Day! How Far Is 10,000 Steps? If you have a sedentary lifestyle, you are more likely to have a lack of general fitness. This can lead to numerous issues, such as gaining weight, losing strength, or having low energy levels. Luckily, nearly every person can counter this issue by walking more every day. 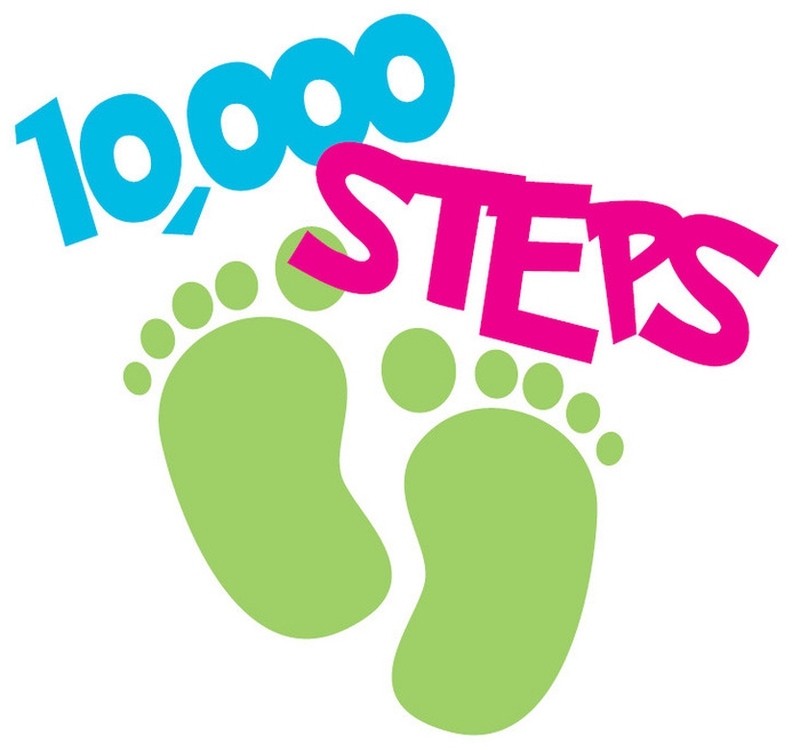 The aim of “10,000” steps is to give each person a practical and achievable goal to ensure that you move enough on a daily basis to boost your overall fitness. Those unfamiliar with this idea, however, may wonder “how far is 10000 steps”, typically looking for the answer in miles. To figure out “how many miles is 10,000 steps”, you need to do some basic math. Every 2,000 to 2,500 steps on a pedometer equal a mile. This means that 10,000 steps adds up to 4 or 5 miles. For those who walk reasonably fast, the 10,000 steps will take them around an hour. Those who walk slowly, on the other hand, may take around two hours. This answer is based on the idea that the average person will have a stride length of about 2.5 feet. Remember that everyone is different with varying stride lengths. It means that if you want a specific answer to “how many miles is 10 000 steps”, you will need to first figure out your stride length. One way to figure out “how far is 10,000 steps” for you would be to actually measure your walk. To do so, place a pen on your floor to mark your starting line, taking another pen with you. Stand so your heels are touching the pen on the floor and take 10 steps. When you get to the last one, bring your feet to each other, putting the remaining pen right behind your heels. Use a tape measure to determine how far apart the pens are. Divide this distance by 10 to determine your stride length. Do this a few times and average your results. If you don’t have the time, space or tools to try the previous one, you can also estimate your stride length using your height, although this won’t be as accurate. Take your height in centimeters and then multiply it by 0.415 (for men) or 0.413 (for women). If you don’t need accurate numbers, you can use averages to guess your stride length. The average stride length of men is 78 cm while that of women is 70 cm. The suggestion of walking 10,000 steps each day began in the 1960s with Japanese researchers, including Dr. Yoshiro Hatano. Hatano’s study found that average people walked between 3,500 to 5,000 steps daily, but if they walked 10,000 instead, they would be able to boost their overall fitness. Today, many health organizations recommend you take 10,000 steps a day as a way to reduce your risk of disease and improve health. Some of these organizations include the National Heart Foundation in Australia, the US Department of Health and Human Services, and the World Health Organization. By increasing the amount and reaching 10,000 steps each day, you will be able to reduce the chance of getting a heart attack, build stronger muscles and bones, promote healthier blood pressure and cholesterol, manage your weight and boost your energy. Walking this amount or more will also improve your mood and confidence, give you a sense of satisfaction and achievement and help you clear your mind to relax. Multiple scientific studies have supported these benefits, including one in 2010 that looked at 60,000 corporate workers living in 5 countries. They were asked to aim at getting 10,000 steps daily and after 8 months, 67% saw an increase in energy and they lost 10 pounds on average. Now that you know “how far is 10,000 steps”, you can work to reach this goal. The following methods may help. The first thing you need to do is to figure out the number of steps you take in a day. This means wearing your new fitness tracker or pedometer for three days in a row while doing your daily activities. Find the average number of steps taken on these days and use it as a starting point for your transitional goals until you get to 10,000 steps. Start by making small, attainable short-term goals. If, for example, you find that you take an average of 3,000 steps each day, try adding 500 or 1,000 steps per day for an entire week. Either walk for a small amount several times a day or go for a long walk. After you meet one short-term goal, give yourself a new one. In addition to your short-term goals, you may also want to set a long-term one, such as reaching 10,000 steps a day within six months. You may also set a goal of eventually increasing your walking pace. To make sure that you are achieving your goals, you need to track your progress. If your fitness trackers has a memory function, you can take advantage of it. Otherwise, create your own log and input your daily numbers. Keep an eye on your progress to see whether you are getting closer to your goals. You are more likely to walk enough if you enjoy the experience, so consider finding a walking partner or a group. You can also listen to music, podcasts or audiobooks. Some people try to walk during their lunch break as a way to relieve tension or enjoy the time to walk their dog. Server responsed at: 04/23/2019 10:30 p.m.